On behalf of the GRAINES team we would like to thank all participants and, in particular, all our key note speakers who stayed for the entire time of the Menton summer school for making this a very inspiring meeting discussing broad issues in European history. Some impressions of “From the Margins” can be found here under #Menton2013 and @Menton. In Reading Groups, Project Discussions and following the Key Notes the summer school had lively and broad debates on borders and border regions as for instance following Akiyoshi Nishiyama’s (Tokyo) fascinating Japanese view on the Alsace-Lorraine Reichsland and how Japanese experts tried to learn from this European borderland for the practice of Japanese Empire around 1900. How to frame European history with but beyond the nation was discussed in panels on Circulations and Trading Zones as well as in discussions on readings and projects on Cores and Peripheries. Discussing European history from the margins, often with a “transnational awareness” rather than along strict definitions, and with perspectives from Kiev, Basel, London, Greece, Galway or Budapest – to name just a few – is a great experience on its own. While there were moments of vagueness, openness and at times the plea to “define terms and concepts”, the awareness grew that Menton was “histoire croisée” in practice, speaking with Michael Werner and Bénédicte Zimmermann (one of the key texts of the meeting). Rather than defining and fixing terms that might suit one perspective or a particular project, Menton showed that reflexivity and multi-perspectivity enriches the view on Europe – a small but complex and globally interconnected continent as Monica Juneja’s (Heidelberg) inspiring Key Note on the circulation of art works from India in the late Mogul Empire to Europe and the Habsburg palaces in particular in the 18th century showed. Equally important as the stimulating discussion are the many ties between scholars and institutions, across languages and discipines that were knitted at Menton. It is our mission to enhance students PhD students’ experiences by allowing them to easily move between GRAINES institutions or join them from outside as visiting scholars for some time. Some of the participants will soon be moving from one place to another and will, thus, be adding new perspectives to their research from a different place and from a different institutional culture. 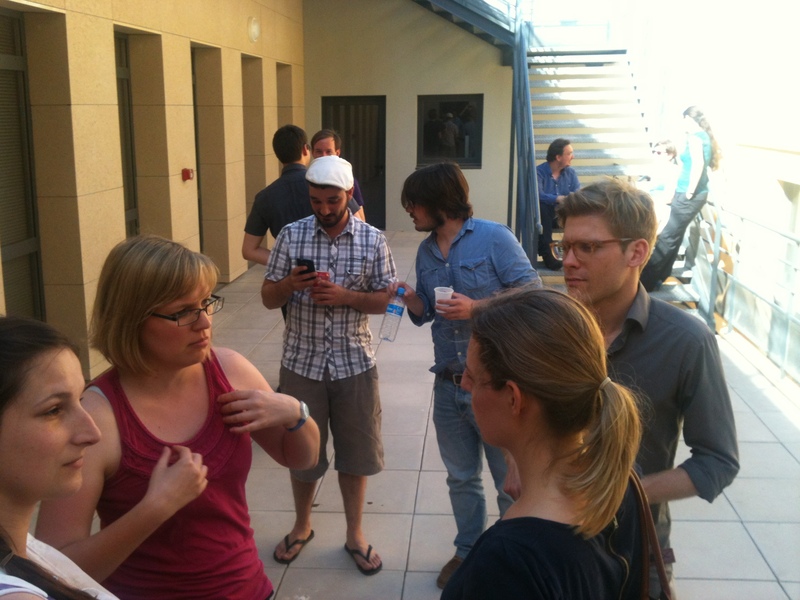 The Menton summer school gave us the opportunity of planning ahead. We are most likely looking at a summer school in Vienna in 2014 and in St Andrews in 2015. In terms of smaller meetings some students have signalled an interest in getting together for a workshop on post-colonial theory and concepts and their relevance in their respective research areas. Another group, most likely steered from St Andrews for a start, will start planning a series of smaller meetings for mapping and visualising transnational flows and connections. In terms of organising the network we invite interested students to join the GRAINES Steering Committee. Together we are aiming to develop the web-based GRAINES network further as a hub and repository for research in European history.